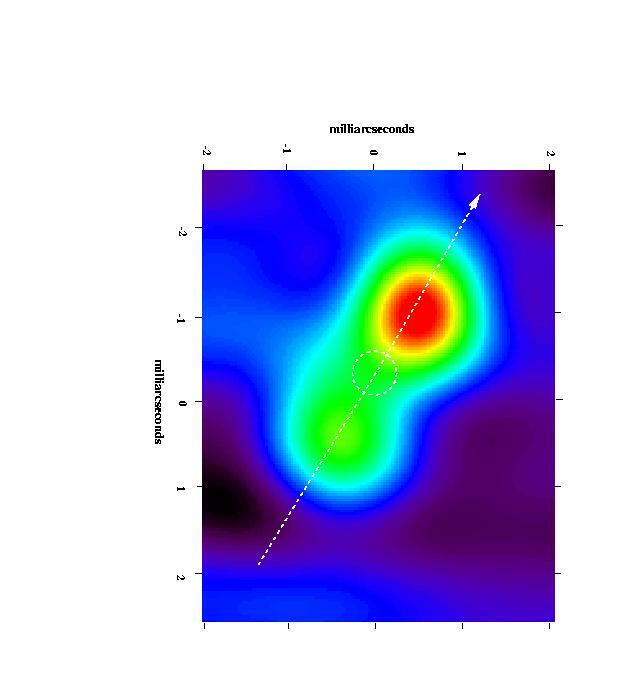 In 2011, AP Columbae (AP Col) was measured to be only 27.4 +/- 0.2 light-years (ly) away from our Sun, Sol, based on refined trigonometric parallax measurements (Riedel et al, 2011; Riaz et al, 2006; and Scholz et al, 2005). The dim reddish star is located in the north central part (6:4:52.2-34:33:36.1, ICRS 2000.0) of Constellation Columba, the Dove -- east of Phact (Alpha Columbae), northeast of Wazn (Beta Columbae), west of Delta Col (Delta Columbae, southwest of Furud (Zeta Canis Majoris), and southeast of Mu Col (Mu Columbae). 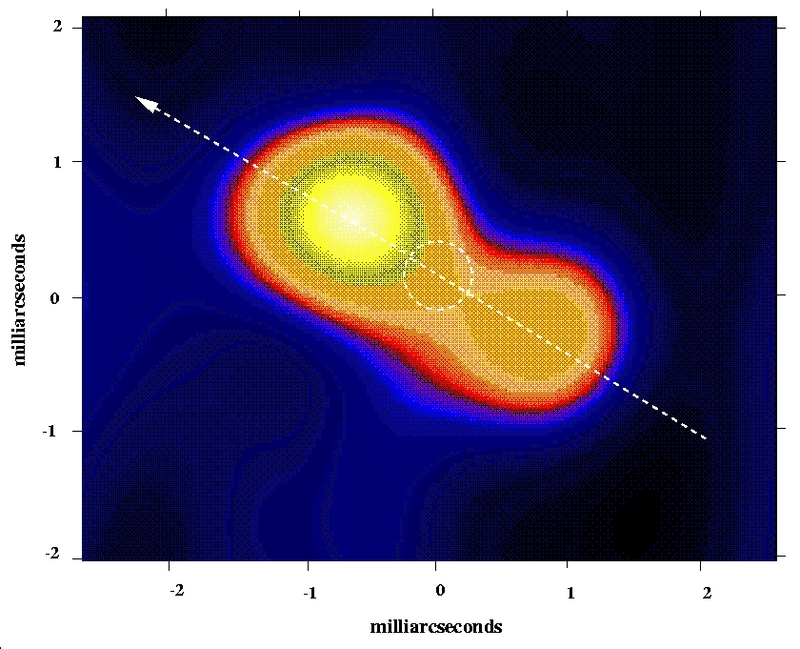 On August 6, 2011, a team of astronomers submitted a pre-print revealing that AP Col has been identified as the closest known, pre-main sequence star to our Sun, Sol (Riedel et al, 2011; and Ken Croswell, Science@Now, September 6, 2011). 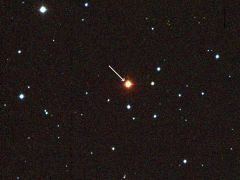 Previously classed as spectral type M4.5e (with emission lines), the object was observed to be four times brighter than would be expected for a dim red dwarf of that type based on a revised parallax measurement of its distance from the Solar System (Ken Croswell, Science@Now, September 6, 2011). 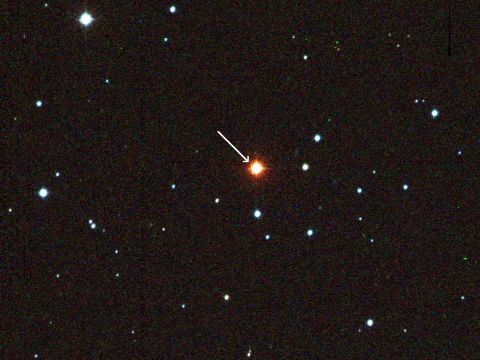 Additional observations and analysis indicated that the object's abnormal luminosity results from it having twice the diameter of a star of that color according to theoretical models. 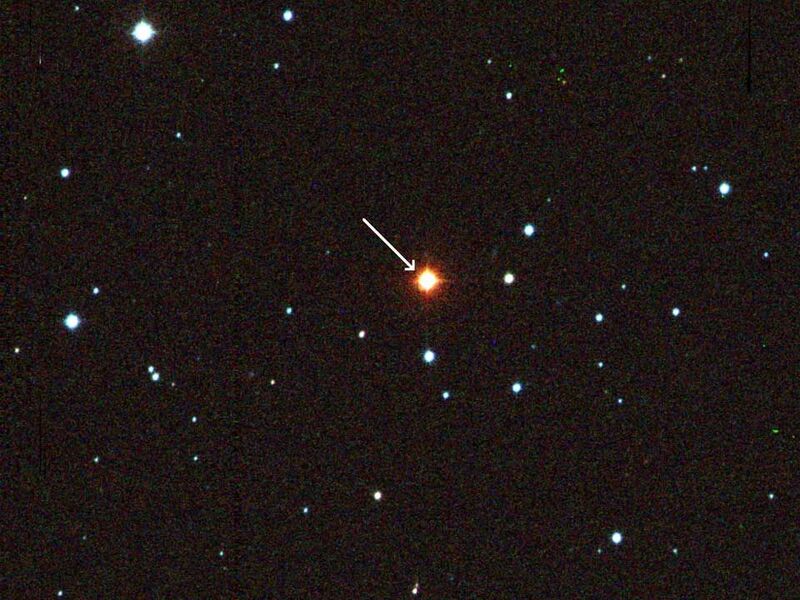 As the object also has a high level of lithium which is destroyed in older stars, AP Columbae was identified as a pre-main sequence object which is still contracting into a young star with a strong magnetic field that generates x-ray bright, UV-Ceti type flares (Riedel et al, 2011; Scholz et al, 2005; and Ball and Bromage, 1995). three minutes before flaring suddenly again after several hours. Initially estimated to be 12 to 50 million years old, the object shares the same motion as stars in the young Omicron Velorum cluster (IC 2391), which resides around 450 light-years away in Constellation Vela, next to Columba. At least one of the astronomers suspects a star in that cluster exploded as a supernova and shot out gas filaments that formed new stars over a large region of space. Although separated by hundreds of light-years, these stars move through space together in a group called the Argus Association. As AP Columbae has similar motion with these Argus stars, it probably formed when they did, about 40 million years ago, and so is probably less than one percent as old as our Sun, Sol (which is around 4.7 billion years old). In addition to the variable designation AP Columbae, some alternative names and useful star catalogue numbers for this star are: AP Col, L 523-55, LP 949-015, LTT 2449, SIPS J0604-3433, and 2MASS J06045215. New information on this object should eventually be available from the SIMBAD Astronomical Database and from the SAO / NASA ADS. This southern constellation is a member of the "Heavenly (or Cosmic) Waters" group of nine constellations (which also includes Delphinus, Equuleus, Eridanus, Piscis Austrinus, Carina, Puppis, Vela, and Pyxis). Columba is thought to be the dove following along after Noah's Ark. For more information on the stars and other objects in the constellation, go to Christine Kronberg's Columba. For an illustration, see David Haworth's Columba.